While the idea of traveling alone may appeal to people who specifically consider themselves “introverts,” you don’t necessarily have to identify as an introvert to enjoy an adventure by yourself. 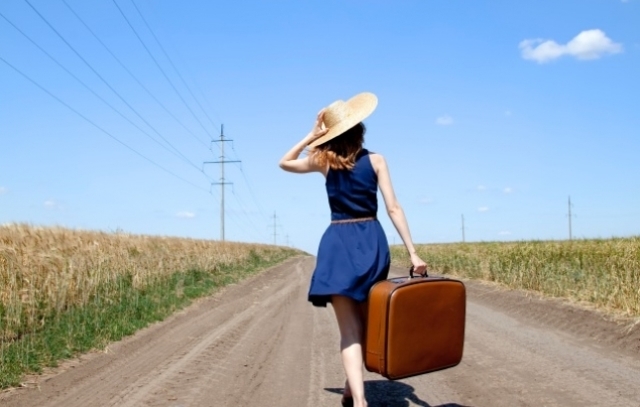 Let’s examine the possible benefits of traveling alone. First, The Huffington Post makes a great point when they say that traveling alone makes the trip planning much easier. You don’t have worry about someone else’s agenda, vacation time, or budget. It makes it easier to truly take care of your own needs. Another thing to consider is, traveling alone may allow you to take that dream vacation much sooner than you would if you had to wait around for someone to accompany you. Next, the idea of taking care of your own needs addresses many aspects of travel. Lifehack makes a great point, do you have a bucket list? This is your opportunity to cross a few things off that list, that possibly somebody else accompanying you wouldn’t care to do. Don’t always want to go sightseeing? You don’t have to feel guilty that someone else is missing out on their trip because you, you can simply do as you please. A great article written by Sarah Schmalbruch on Business Insider discusses her experience when spent 10 days on her own in Spain and Portugal during a study abroad trip. Schmalbruch reflects on her trip and talks about how had she been with friends, she would not have been able to immerse herself into the culture the same way she was able to traveling alone. She also talks about how she was able to meet people she wouldn’t have met otherwise had she been with her own group of friends. It can’t hurt to try traveling by yourself, it seems that it definitely has its upsides and should definitely be considered.